‘O God, there are no fresh vegetables anywhere! Everything is so poisoned’. This is a refrain that every responsible house-wife says at least once in a day, isn’t it? But ‘Have you ever done anything to solve this serious problem?’ Now you may feel like asking a question, right? ‘Where should I cultivate them? I live in an urban area and I do not have any space to cultivate vegetables’. But do not worry; The Daily Brunch has a solution for you. 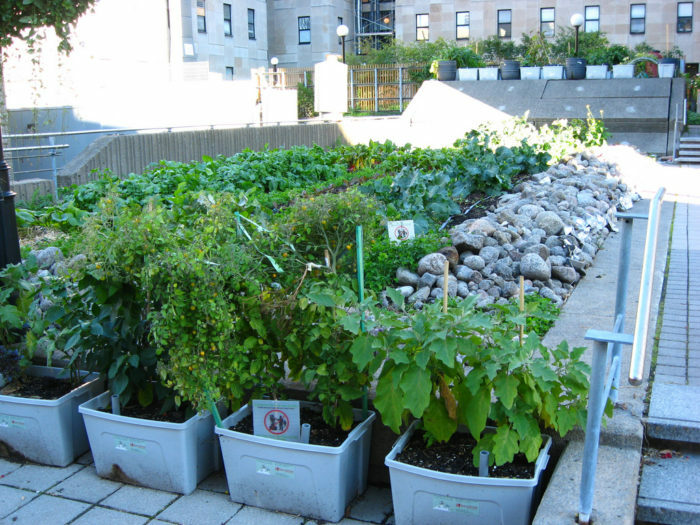 Have you heard of roof-top gardening? It is one of the most attractive and space-saving gardening techniques that uses conventional rooftop as a medium of cultivation. It not only helps you consume fresh vegetables but also makes the buildings cooler, saves energy and also extends the life of roofs. In urban areas, this is considered an effective mechanism to reduce the urban heat island effect which is the difference in temperature of the city and a rural area. In the past few decades, at least in India, we have observed a steep rise in urban-temperature. This is the direct consequence of dense urban environments of which the economy is heavily dependent on Industry and other non-agricultural services. From the urban locality, impermeable concrete and asphalt surfaces combine together and adversely affect the air and water quality. Studies in the recent past show that urban heat alarmingly contributes to the global warming process. Intense competition for land for industrial purpose causes a steep plummet in green space, and there is a consequent spiritual disconnect from agricultural roots and the natural world. If things are progressing like this, no doubt, the future generation is going to be in peril. In the present situation, all these issues snowball into serious the health problems for urban population citizens. The number of cancer patients among even non-smokers and teetotallers is on the rise. And the reason for this is often attributed to the consumption of vegetables laced with poisonous fertilizers and pesticides. This is where the relevance of roof-top gardening comes in. It helps you grow fresh vegetable right there on your roof-top. Along with creating a healthy life, the plants on the rooftop provides a shade to the roof and also makes the roof cool by evaporation. In addition to all these benefits, rooftop gardening works as an air purifier by reducing the carbon dioxide and producing oxygen through photosynthesis. And it has an entertainment value, too. Do you know what it is? It can add a leisure space to humans by watching birds and butterflies that pay a visit to your beautiful garden on the roof. Roof-top gardens can be of several types. The first step is to choose the right place on the roof or make the roof suitable for gardening. You must find a place where your plants will get a lot of light. It is always good to cover the roof with green-nets. This will give your plans ample shade so that the saplings do not get wilted in the sunlight. The second step is to grow saplings in a plastic tray. You can buy the plastic seed tray online or from any agricultural store near your house. Mix the soil with the compost and sow the seeds in the tray. The third step is to choose the right containers. Your containers should be large enough for your plants to take root. The weight of the container is specifically important if you are concerned about the weight that your rooftop can support. And again, remember that containers will become even heavier when you water them. Materials such as clay, terracotta and cement are usually avoided these days precisely because of the reason that they are quite heavy. Plastic pots and the newer synthetic containers are light for the purpose. However, if your rooftop garden pretty is windy, you will have to go for a heavier container. Once you decide on your containers, make an ample number of tiny holes at the bottom of the containers so that water can seep in.  1/ 2 cup alfalfa meal for nitrogen, phosphorous, and potassium.  1/3 cup greensand for potassium.  1/4 cup oyster shell flour or dried, crushed eggshells for calcium. Once you finish this process of mixing the soil with fertilizers, you can transplant the saplings from the small trays where you have grown them to the containers. Now your garden is ready. Remember you need to care for these plants very well as you do with your pets. Give them enough attention every day and grow a nice roof-top garden. Enjoy your roof-top gardening and have a healthy life. Read about supermodel Joey Matthew’s new gardening endeavour.